The Neo FreeRunner and the Neo 1973 can be charged with the supplied USB charger, which is a device that does not comply with the recent USB Battery Charging Specification. This specification demands for an open circuit on the ID pin and a short circuit between the D+ and D- pins. Most of the USB chargers around behave the same way as the one supplied with the Openmoko Neo. 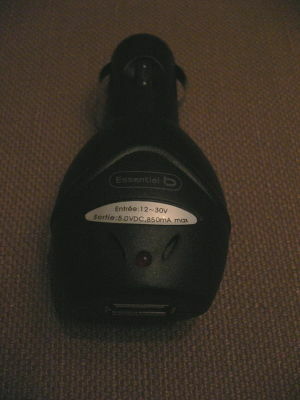 In fact, up to now no charger has been identified to comply to the specification mentioned above. 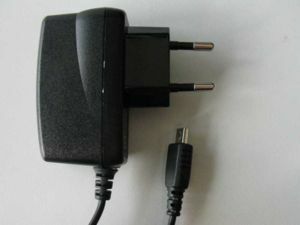 The differences (incompatibilities) result from the way the USB charger signals the mobile phone that it is present: most of the manufacturers chose to connect a resistor between the "ID" pin and the "GND" pin in the USB connector. For Openmoko Neo, the value of the resistor is 47.5 kOhms. This charger comes with the Neo FreeRunner package. Openmoko Neo FreeRunner, provided the 500 mA charging mode is enabled on the FR (see Forcing_fast_charge_mode), as otherwise it would only (dis)charge, as the FR would only draw 100 mA out of it. This car charger is sold at the French appliances superstore Boulanger but should be available in other stores under different brands. 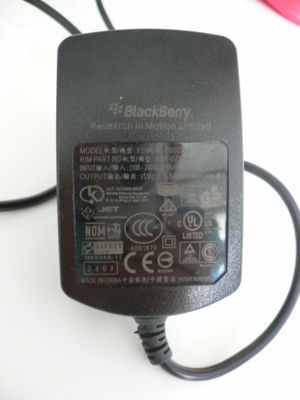 It is an adapter to a USB cable which can then be connected to any USB-charging device. By default, it will be seen as a "passive" USB port at 100 mA. 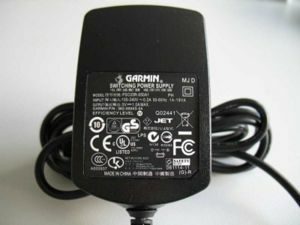 This charger comes with the Garmin Edge bicycle computers. Manufacturer: probably Phihong Technology Co., Ltd. This charger comes with the tmobile MDA Compact 2 (HTC Charmer). This charger comes with the O2 Xda Orbit 2 (HTC Polaris). Manufacturer: Phihong Technology Co., Ltd. 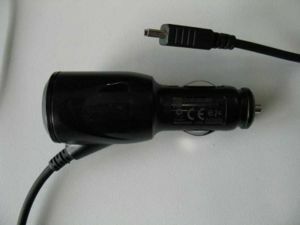 This 12V cigarette lighter adapter charger comes with the O2 Xda Orbit 2 (HTC Polaris). 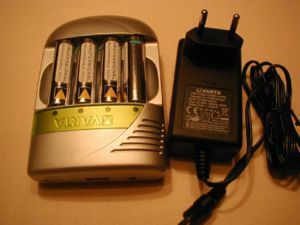 This device charges 1-4 AA or AAA rechargeable batteries (also in mixed mode) and provides USB output to charge from the cells other gadgets (or even can charge from devices with USB output the cells). This device is a 2 port car or wall charger for USB devices.